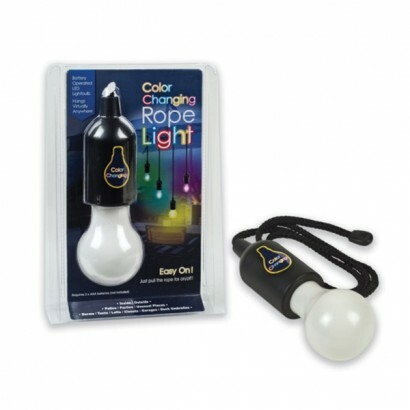 This light does exactly what it says on the box and is literally a bulb...on a rope! 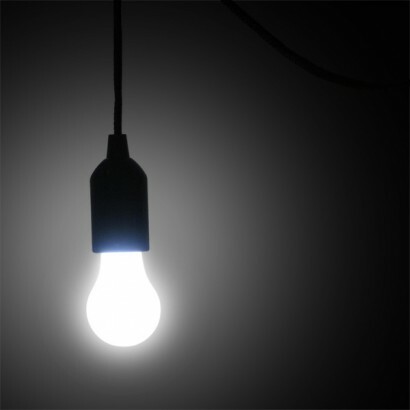 The bulb is actually a battery powered super bright LED lamp that comes with a colour change or simply white light bulb, and can be hung virtually anywhere to create stunning mood lighting. Use the Bulb on a Rope when camping, to add a glow as a the sun sets in the garden or even to create an easily installed light effect in your home. Create a stylish display by grouping together several of the bulbs in one area. This light does exactly as described. It is s bright light and can be used anywhere. Ideal for shed, garage, attic for bright illumination. Easy switch on and off. I was hoping for it to be a little dimmer so that I could use it to see my baby in the car in the night as I keep leaving my interior car light on. 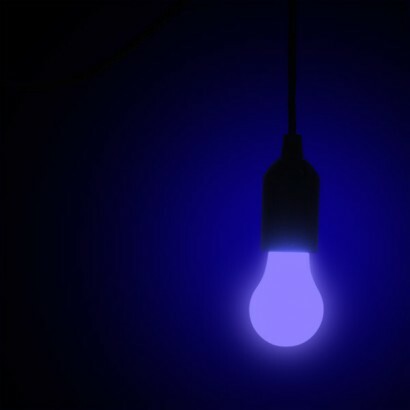 However, it is as bright as it states and can be used for other purposes.